KMW supports young musicians - News - KMW Engineering Sp. z o.o. 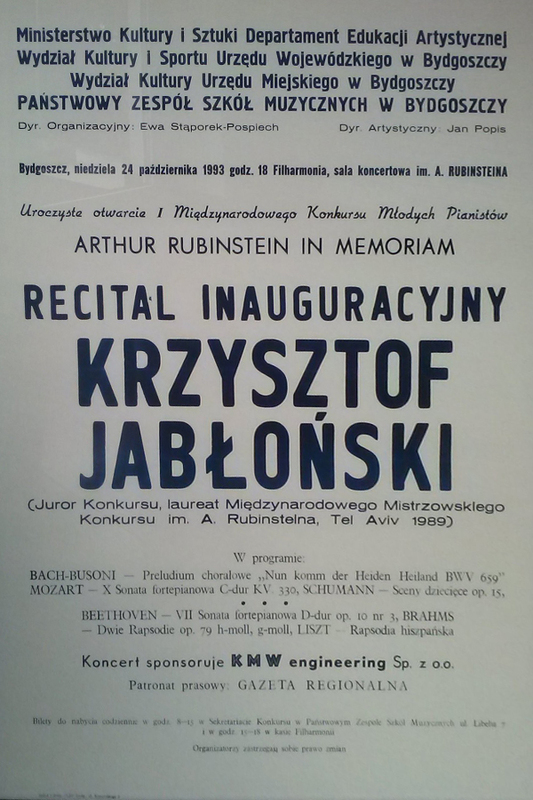 The idea of organising a competition that would help the young talented people enter adult life has come into existence thanks to the words of an outstanding musician, Arthur Rubinstein, who in 1960, while visiting the newly-built Filharmonia Pomorska, said: 'You have a wonderful concert hall and concerts should be organised here'. The idea of the great pianist had been realised in 1993 by Ewa Stąporek-Pospiech, the headmaster of the State Musical School Complex in Bydgoszcz, who organised the first competition for pianists. Aniela Młynarska-Rubinstein, the wife of Arthur Rubinstein, has taken honorary patronage over the first display of the competition. Since then the competition takes place every 2 or 3 years, each time gathering the most talented young musicians from all continents who perform the pieces of music played earlier by Arthur Rubinstein. At present the patronage belongs to his daughter – Eva Rubinstein. During the over-twenty-year-long tradition of the competition, numerous young talents have been rewarded, and in their later age achieved further successes. In particular it is worth mentioning Rafał Blechacz (II place in 2002), who gives concerts all around the world, and in 2005 won the XV Chopin Competition in Warsaw, and in January 2014 received the Gilmore Artis Award which is given by professional musicians to the most talented pianists. In turn Joulianna Awdieewa from Russia (I place in 2002 in Bydgoszcz), has taken the II position on the International Musical Competition in Geneva in 2006 and 6 years later won the XVI International Chopin Competition. In 1993, during the meeting of the musical school headmaster with Krzysztof Wojtkowiak, the establisher and then president of KMW Engineering, it has been settled that the company will support the organisation of the first concert and, at the same time, first such an event in the region – KMW was the main founder of the event. At the end of October the musically-talented youth from all around the world gathered in Bydgoszcz – there were representatives from Armenia, Bulgaria, Australia, US, Great Britain, Russia, Japan, France, Belarus, Ukraine, Chile and Israel. Also Poles took part in this competition. The first-prize winner was Walentina Igoszyna from Russia, the second place was given to Beata Milińska (Poland) and the third was given to Josif Sergei from Belarus and Naomi Iwase from Japan. There is an interesting story that has joined our company with one of the laureates of that edition for many years. After the final concert and handing in the prizes, there was a party in Orbis hotel, where all the participants, organisers, sponsors and envited people were present. During the gala, Krzysztof Wojtkowiak began a casual conversation with the laureate of the III place, Josif Sergei. The sixteen-year-old pianist told him his quite unbelievable story. It turned out that the Belarus boy, despite great skills thanks to which he has won the III place, does not have his own instrument. The boy got up early every morning so that he could pratice for a couple of hours in of the Mińsk musical schools. 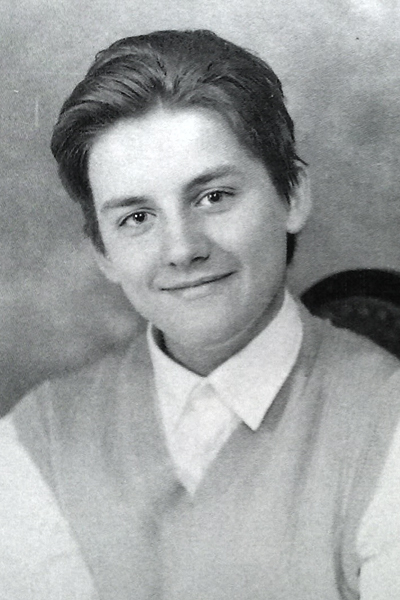 Through many years he developed his skills devoting mornings and practicing till the first schoolbell which had given the success not only on an international comopetition in Bydgoszcz, but also, for example, on the International Chopin Competition for Ahildren and Adolescents in Szafarnia which he has won. The story of the laureate who does not have an instrument to learn on (and kept giving concerts in Poland, Germany and Belarus) moved the KMW president who decided that he would buy the young Belarus boy a piano. When the offer was made, there was a moment of puzzlement occurred – Josif was not sure if he understood the man corretly. Even though both of them had quite a good conversation, each of them spoke in his own language. But he understood well. The piano was ordered in Calisia Company from Kalisz. It is not difficult to imagine that over 20 years ago the entire procedure of buying a piano sis not look like it does today, when anyone can choose one out of the many present on the market instruments. The piano was ordered by telephone and we were waiting for the completion of the order. In 1994 it was ready and was transported to the KMW office in Solec Kujawski. Then the company transported it directly to Mińsk, where Josif Sergei was still living. After all this, in the interviews given to both local and worldwide media he mentioned the situation when one man from Poland sponsored his first piano, During the following years we remained in contact – Josif informed us of his following competitions and awards. Naturally, the contant faded away during the years. The skills of the almost 40-years-old pianist may be seen today of YouTube, where Josif Sergei has a channel and publishes a film once in a time. Why KMW Engineering decided to finally return to the idea of sponsoring this musical feast? - It is worth to support young talents, as some of them, as Josif, do not have the proper possobilities – says Agnieszka Ponimaż from KMW, who remembers that story and now is responsible for the cooperation with the organisers of the X edition. But they do not tell their stories on their own. You have to ask them, only then you will know the story of these people and all of the sacrifices they have to make to reach the top. The spectators come to the concert, are delighted with the talent, play, music but are not aware of how many resignations have been made by those young people. This is how the world looks like – she ads.